1. LOCAL — Give to change the lives of refugees and immigrants in the U.S.
Help meet the needs of refugees by providing compassionate and holistic care from the moment they arrive at the airport through their journey to self-sufficiency. Help immigrants maneuver through the U.S. immigration system, reunite with family members left behind and gain access to economic and educational opportunities. 2. INTERNATIONAL — Give to change the lives of vulnerable families in Africa, Asia and Haiti. Help meet the immediate needs of those affected by natural disasters, regional conflict, drought and famine. Help empower local churches to break the cycle of poverty by loving, serving and extending the mercy of God to the most vulnerable around the world. “Conflict spares no one,” writes Cyprien Nkiriyumwami, World Relief Africa Director for Peacebuilding. The context in which he writes is that of the Democratic Republic of the Congo (DRC). For twenty years the DRC has experienced continuous and brutal conflict, originally a result of the tribal animosities unleashed by the Rwandan genocide in 1994, then exacerbated by the military overthrow of its president, Mobutu Sese Seko, in 1997. There are now as many as 70 armed militias operating in the DRC, fighting over control of the land and the rich mineral resources buried within it. As many as 6 million people have been killed in the fighting or by related impacts such as disease or malnutrition. Women and children are those most affected and victimized by this conflict—including recruitment into armed groups, sexual violence, and many forms of gross physical violence. Today, the United Nations estimates that there are 4.7 million people displaced from their homes in DRC and another 450,000 who have fled the violence as refugees living outside of their country. On the UN Human Development Index, which measures for life expectancy, educational, and economic factors, DRC is ranked 176 out of 188 nations worldwide. And despite its people’s deep desire for peace, the conflict and resulting corruption too often benefits those in positions of power, creating little incentive to stop the violence that causes so much unbelievable suffering. In the midst of this chaos and constant simmering of open-conflict, Cyprien has been facilitating World Relief’s efforts to transform communities of conflict into those characterized by peace through the formation of our Village Peace Committees (VPCs). VPCs are community structures composed of ten trained and respected community members who work together to solve disputes and conflicts within their localities before they reach violence. Today, the VPCs are incredibly successful vehicles for conflict prevention throughout the DRC. The road to their installation however, was not an easy one. Over ten years ago, World Relief’s work in the Democratic Republic of Congo experienced disruption upon disruption due to constant violence. As staff came together to discuss solutions, two staff members who worked with local churches observed that the tribal divisions in churches typically mirrored the conflict they saw in the wider community. Pondering how they could act upon this insight, Cyprien and local pastor, Marcel Serubungo, called together church leaders from across the area to a 3-day pastoral retreat to address the conflict in the community. This task was harder than it sounds given the history and context of this request. At the time, pastors and their churches were largely segregated by tribal identity. So too were the relationships among pastors. In fact, pastors would normally avoid meeting one another or even gathering in the same room with pastors of another tribe. Now tensely gathered together in one room, Pastors Cyprien and Marcel shared their vision of pastors leading the way in bringing peace to their community and providing care to victims of violence, without consideration of tribal affiliation. Discussion was difficult and quickly devolved into accusations from pastors of one tribe against pastors of another, even as Pastors Cyprien and Marcel tried to bring pastors together in unity around their shared purpose and design as image-bearers of God. That night, by design, Pastors Cyprien and Marcel assigned each retreat room to two pastors, one from each combating tribe. Each room was furnished with one bed. The pastors were forced to decide if they were to sleep on the floor or on the bed. In customary African fashion and considered culturally appropriate, the pastor-pairs reluctantly agreed to share each bed. Yet lying back to back, the pastors could not sleep because of the level of bitterness and mistrust against one another. That water-shed gathering shifted things significantly. Meaningful pastor-friendships formed across tribal differences. Regular pastor gatherings commenced to discuss peacebuilding in their congregations. These gatherings and relationships soon led to pulpit-exchanges, where pastors from opposite tribes would preach at the other’s church on a Sunday. At first, parishioners were shocked by these actions, but eventually began to realize that “If pastors could meet together, so too could they.” The example of these pastors cascaded into their churches and out into the community, as tangible hope began to form within their people. The lessons learned from the early peacebuilding efforts in the DRC have today formed the foundation from which World Relief’s peacebuilding efforts have expanded into other fragile countries, including South Sudan, Burundi, Pakistan, and elsewhere. Today, VPCs are able to operate independently and successfully because they are acknowledged by villagers as neutral, impartial and effective conflict resolution facilitators. Not only do they formalize the process by which tribal leaders and community members publicly address past and current tensions, but they also encourage and offer this process free of charge. These local committees have resolved thousands of conflicts which would have otherwise escalated into cycles of violence causing loss of land, property, and life on mass scale and tearing families and communities apart. Peace building matters because it helps people and communities to refrain from using force to impose their views on others. It helps people to accept others as they are, to tolerate differences, respect the vulnerable, especially women and children, and eventually, to come voluntarily to solutions acceptable by all. VPCs have resolved conflicts as small as land and livestock disputes, as well as cases referred to them by the local police, but they also accomplish something much bigger: They create hope, courage and faith. Hope that problems can be resolved and that a better future exists. Courage to address larger relational issues and conflicts despite historical failures and fatigue. And faith, as communities begin to see that the church is both relevant for their communities and that the teachings of scripture do make a difference. Today, World Relief continues to pioneer our VPC work across fragile states. Though we face countless challenges and roadblocks to this work, we take heart, because of our confidence in men and women like Cyprien who lean into the discomfort and fear courageously, in faith. And we have great faith that this work will continue to be transformative in the lives of thousands across the world. 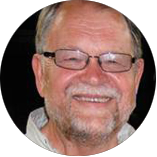 Gil Odendaal, Ph.D, D.Min, is the SVP of Integral Mission Division at World Relief. He previously served as the Global Director for PEACE Implementation with Saddleback Church in Lake Forest, California as well as Global Director for the HIV/AIDS Initiative under Kay Warren. Gil has 30 years of ministry experience as a missionary, pastor, educator, leader and public speaker, including serving as Regional Coordinator for Africa, Russia and Easter Europe with Medical Ambassadors International. Gil serves on the Lausanne Movement Integral Mission leadership team as well as a board member of ACCORD Network. Gil and his wife, Elmarie, were born and raised in South Africa. They have three adult children and five grandchildren. 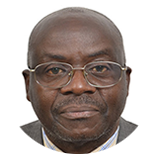 Cyprien Nkiriyumwami is World Relief’s Africa Director for Integral Mission, Church Empowerment and Peace Building. Trained as community development facilitator and working in that capacity since 1984, Cyprien has designed and led programs that lean on local churches and grassroots structures of volunteers in reconciling people and communities in the war torn Democratic Republic of Congo and in Pakistan. Damon Schroeder is the Director for US Integral Mission at World Relief. Springing from his experience as a missionary kid from Cyprus, he has worked for 17 years, equipping churches in the US to holistically welcome and build community with newly arriving refugees and immigrants. My mother was raised in a religious family. She taught me and my three siblings the basics of Christianity and taught us to love people around us. When my father died on the battlefield, my mother was there for us, uniting us as a family—loving and caring for each other even though we had hard times. As a single parent, it was never easy for my mother to provide everything but she made sure we had what we needed. For many years, my mum worked endlessly to see that my siblings and I got the best education, all while looking for jobs that would sustain us as the needs of our family increased. We always had people from different backgrounds staying with us, and my siblings and I couldn’t understand why. As time went by I came to realize that my mum was always friendly and hospitable to everyone that came by. She wanted to give the best of her time to them. After the 1994 genocide against the Tutsi occurred, my mother and I moved from Uganda back to Rwanda (where she was born) to get a more stable life—my siblings stayed behind to finish school. For 6 years, we went back and forth between Uganda and Rwanda to visit my siblings because I missed them. I once asked her why she had brought me alone along with her and left my siblings behind. She told me that “I love you so much and your siblings can’t be with us now, but I love them very much too.” It wasn’t long before we were reunited with them for good. In the meantime, my mother had found a job as a nurse at a clinic in Kigali. The school I went to was close to the clinic and after school, I would meet her at work and we would walk home together. The nature of my mother's relationship with me was not only of a child and a parent but also of a friend and confidant. She encouraged me and made me feel important to her. This made me a very confident person. Along the way, my mother found salvation and she found new meaning and purpose in life. Life as a single parent was never easy for her, she was constantly striving hard to make ends meet—the weight of that was often heavy. With Jesus in her life, she was so much happier and full of hope because she had found faith. In 2002, my mother started working with World Relief Rwanda, which at the time was helping people to understand and accept living positively with individuals who were HIV positive. She endeavored to get to know and establish relationships with them, so they could trust her and accept her teachings. As a result of her counseling and spiritual mentoring, these individuals were able to reunite and live in harmony with other people, which wasn’t the case before because a stigma had isolated them. The more she worked and the longer she stayed with them, the more my mother got closer to the most vulnerable. The more I saw my mum go every week to spend hours and days with suffering people, the more I learned from the stories she shared about her experience. She always reminded me that even if it doesn’t feel like you have enough to give to the most vulnerable, physically being with them, praying with them and socializing with them provided relief and community for them. For over 15 years, she has always been an advocate of the most vulnerable, and most especially for women in the community. In 2007, I joined a program called Choose Life at my high school to receive training to then train my peers in the community. I was excited for this opportunity because I was able to reach out to my fellow youth, and because of the stories my mother would tell me about serving the most vulnerable. I thank God for my mum and her lifelong impact. Because of her I went on to study Computer Science in college where my passion to serve the vulnerable grew stronger and led me to pursue my second degree in Community Work and Development. She has influenced me to pursue the work I am doing today. Bob Allan Karemera is World Relief Rwanda Strategic Partnership Officer for more than 4 years. In his role, he coordinates relationships with with seven church partners and donors, connecting and engaging them in meaningful ways to WR Rwanda’s work. With a degree from Mount Kenya University in Kigali in Social Work and Administration, Bob further developed his passion for community work.